A home sauna can be an extremely positive addition to a household. Regular sauna bathing can provide a great outlet for relaxation, and some studies suggest that it can also have significant health benefits. 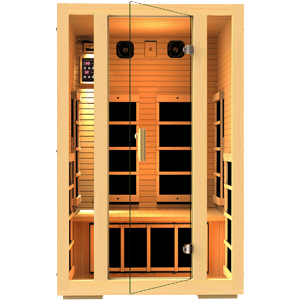 With a sauna in your house there’s no doubt incentive to visit the sauna more frequently to take advantage of these benefits, and you can maximize your enjoyment of those visits with the right home sauna equipment and accessories. With this in mind we’ve gone into production on a couple of useful home sauna equipment and accessories of a brand of our own. We hope you find them valuable for your household and they help you take full advantage of your time unwinding! Timing your sauna sessions is important to some. You want to ensure your sauna exposure is of a duration that is healthy. A sand timer has several qualities that are advantageous for use in saunas. Since there is nothing electronic in a sand timer, you don’t need to worry about any moisture-related electronic malfunctions. There is also a calming aesthetic that comes with a sand timer. 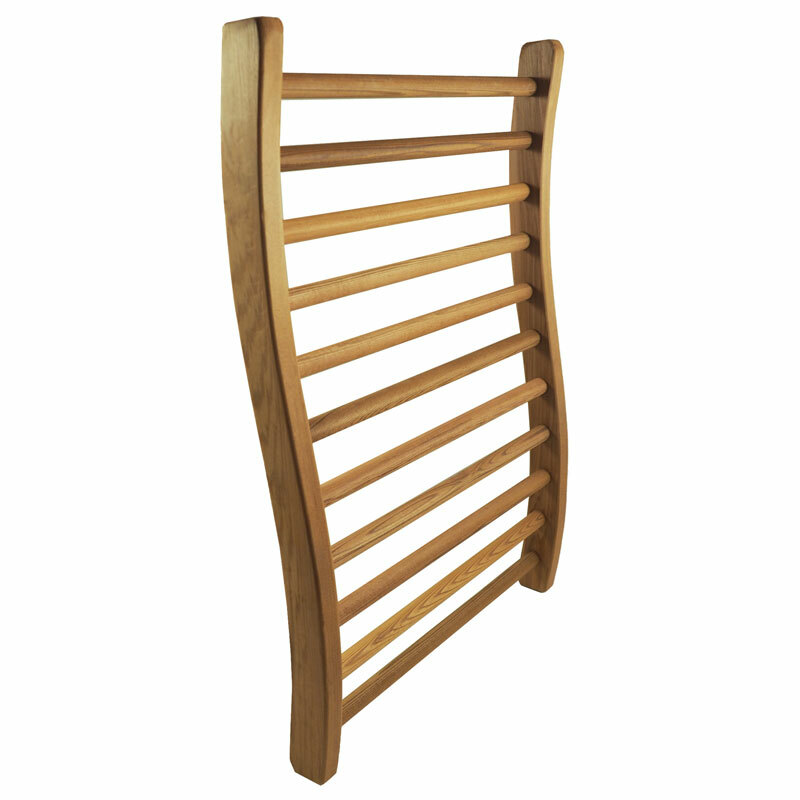 It’s silent and organic, which makes for a great complementary piece of home sauna equipment. 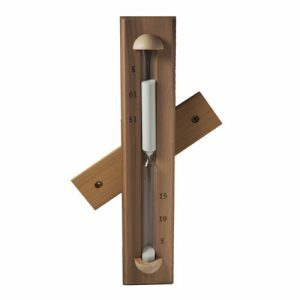 Our fifteen-minute sauna sand timer is made of cedar, and is accurate to within 30 seconds. The base features 3 convenient time markers at 5, 10, and 15 minutes so you can gauge your time accurately with just a glance. 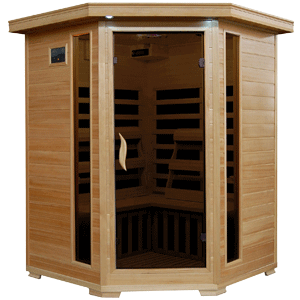 We offer white or rust sand color options so sauna owners can choose the look that best suits their style. The timer is wall mounted and designed to be easily rotated. If the attached wooden mounting strip is aligned vertically, it is hidden perfectly behind the sand timer. We include two screws with the sand timer. It measures 11.75 inches tall by 2.6 inches wide by 1.5 deep. 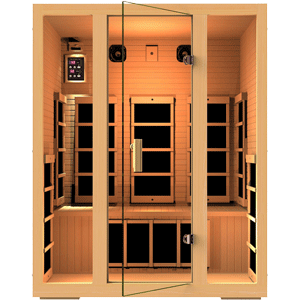 Having back support in the sauna is a must for being able to fully relax, but in infrared saunas you don’t want your back to be in direct contact with the sauna walls. 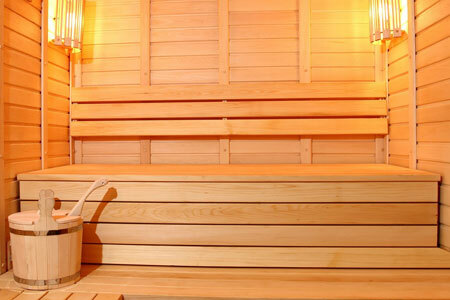 Keep your back away from your sauna’s infrared heaters! 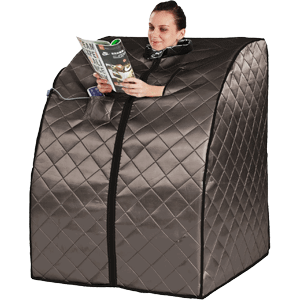 The safest, most relaxing way to enjoy an infrared sauna session is with a curved backrest. Our backrest is made of Canadian Red Cedar wood and boasts an ergonomic S-shape that naturally fits to the contours of the back. The backrest comes fully assembled and has dimensions of 20.5 inches by 13.75 inches by 2 inches.